What Is The Nerf Zombie Strike Wrathbolt? The Nerf Zombie Strike Wrathbolt is the smaller model to The Nerf Zombie Strike Dreadbolt, a great Nerf Duo if you want to go Zombie Hunting with a friend or always have a back up bow if one happens to fail. 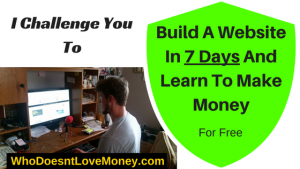 With the simple pull back of the string and load of the arrow (In That Order) anything in your way can be a target. If you happen to be hunting Zombies, make sure you aim for the head and recover your Nerf Arrow if it sticks in their head. Most of the time when someone decides to choose a Nerf Crossbow over any other Nerf Gun it’s because of how quiet they fire. When you fire a Nerf Arrow that whistles through the air out of a crossbow that hardly made any noise other than the string flying forward propelling your Nerf Arrow, you will have the edge on anyone or anything that you were aiming for! Zombies are dumb anyways, so even if you miss, you should be just fine to take another shot, just don’t miss this time! With The Nerf Zombie Strike Wrathbolt holding and firing only 1 Nerf Arrow at time, the real time test is how fast you can load your next Nerf Arrow after firing. If you can pull back the string fast and load faster, you may be a threat for Zombies everywhere and or anyone that decides to mess with you! Who Is The Nerf Zombie Strike Wrathbolt For? Are you a Zombie Hunter? A Zombie Hunter is anyone who wants to help the world eliminate the threat of Zombies. Some can be spotted in the woods, others in the city, sometimes even your backyard. No matter where you see one, you need to take it out to help the world! If you are someone who is looking forward to destroying all Zombies, you may find it more fun to stick them with Nerf Arrows before you end them! 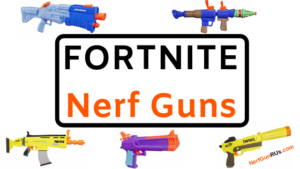 If you are someone that enjoys dominating on the Nerf War Zone, you might have to slow down your strategy with The Nerf Zombie Strike Wrathbolt, the option to dominate is still there but you will need to take slower shots. You have the element of surprise with The Wrathbolt, the quiet shooting makes it easy to take one shot from one location and quickly move to another by the time your target has any idea where that shot came from. 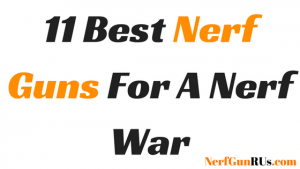 But if you happen to get caught up in a one on one confrontation in the middle of The Nerf War Zone, you better be able to make that one shot count, otherwise you better be a good runner or a good begger! Is The Nerf Zombie Strike Wrathbolt Worth The Price? 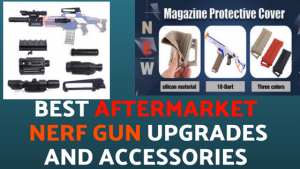 Nerf Guns are all unique and give different advantages to different people in different situations, so worth is always up to the user. 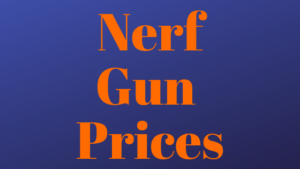 When you get single firing Nerf Gun they tend to be cheaper (Check NerfGunRUs.com‘s Price Page), but when you take into the facts that you get 2 Nerf Arrows, and a Crossbow that works over and over as long as your fingers are willing to pull the bow string back and insert a new Nerf Arrow. If you stick your enemy with your Nerf Arrows, they are easy to retrieve. 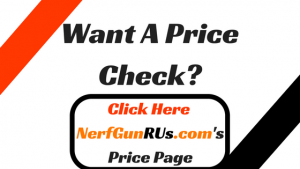 Yes, I Say The Nerf Zombie Strike Wrathbolt Is Worth The Price! The Nerf Zombie Strike Series is all about helping eliminate the Zombie Threat released on Earth, you never know where you will find a Zombie and you never know if it’s hungry, a hungry Zombie is even more unpredictable than a normal one. When you see a Zombie, you need to get your Nerf Gun out and make sure you aim for the head to put that Zombie to the ground! My final opinion of The Nerf Zombie Strike Wrathbolt is this is a pretty awesome looking crossbow that is designed to shoot Nerf Arrows at any target you see fit. If you choose live targets to shoot at, make sure you are able to switch another Nerf Gun with more ammo or be ready to hide or run! Only being able to fire 1 Nerf Arrow then taking time to re pull the band, then insert another arrow, is quite time-consuming, it’s up to you to practice improving your reload time, make it a goal to always shoot faster and become a pro with your Wrathbolt! Awesome look, powerful whistling Nerf Arrows, Easy To Pull Firing Band, Sturdy Crossbow Arms that still can break so don’t throw around your Wrathbolt, or any of your Nerf Guns, but overall, I think The Nerf Zombie Strike Wrathbolt is a pretty awesome Nerf Gun! When you are ready to help destroy Zombies, always finish them with a head shot! What do you think about the Wrathbolt? Do you like the hacksaw blade on the bottom? What situation would you use that in?! Let Me Know In the Comments Below! When you have made your decision that you need a Wrathbolt to go with your Dreadbolt, or that you want to try out the smaller version before the larger one, or maybe you just want to be able to fire Nerf Arrows, whatever reason… If you are ready to purchase a Nerf Zombie Strike Wrathbolt, Clicking The Nerf Zombie Strike Wrathbolt banner above will bring you directly to Amazon.com where you can make your purchase, along with tons of other items… Like Ammo! 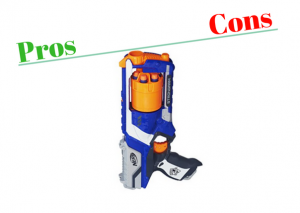 NerfGunRUs.com works with Amazon.com to make sure you find the Nerf Gun that best works with your style of Nerf Combat and then allows you to simply click a banner to be brought to Amazon.com where you can make your safe and secure purchase with the option of frustration free packaging or standard manufactures packaging. 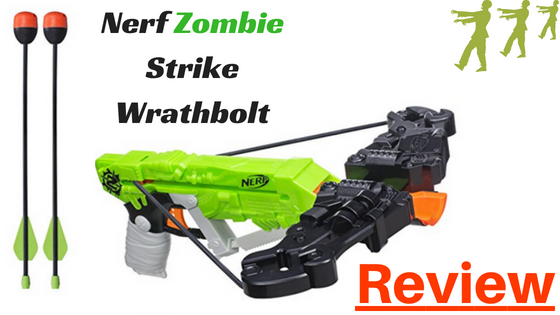 Thanks for taking the time to check out my review of The Nerf Zombie Strike Wrathbolt, when you want to have a lot of fun with Zombies, stick a bunch of Nerf Arrows in their body before ending the fun with one to head. Always make sure you have one last shot to take out your target, don’t have too much fun and blow through all your ammo with an angry Zombie walking around! If you have any questions or comments about The Nerf Zombie Strike Wrathbolt feel free to leave them in the comment section below! 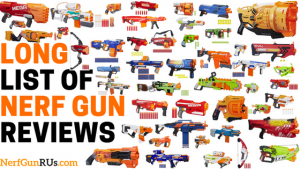 If you would like to leave a review of your own, send your full review to my contact info for the possibility of being featured in fan reviews here at NerfGunRUs.com!